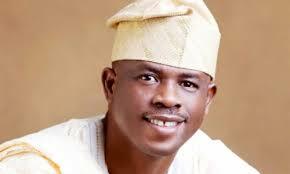 Other applicants in the suit are Mrs. Fati Obanikoro, Alhaja Moroophat Obanikoro, Gbolahan Obanikoro and Babajide Obanikoro. The EFCC had last Tuesday raided the Ikoyi, Lagos homes of the former minister over his alleged involvement in the $2.1bn arms deal under the Jonathan administration. But a suit, filed on his behalf by his lawyer, Chief Ogwu Onoja (SAN) on Thursday, also asked the court to restrain the Respondent, EFCC, whether by its officers, servants, privies, assigns or agents from arresting/detaining, harassing any of the applicants or their relatives pending the hearing and determination of the suit. The applicants are also praying the court to restrain the commission from further entering their premises and an order directing the EFCC to tender an unreserved public apology to them for the unlawful action. The applicants are also asking the court to set aside the forceful seizure, detention and/or freezing of several items, properties/personal effects and direct the respondent to release all the items, properties and personal effects seized from their premises. The applicants further want the court to hold that the action of the EFCC constitutes a gross violation of their fundamental rights as guaranteed under Section 43 of the 1999 Constitution and Article 14 of the African Charter on Human and Peoples’ Rights.